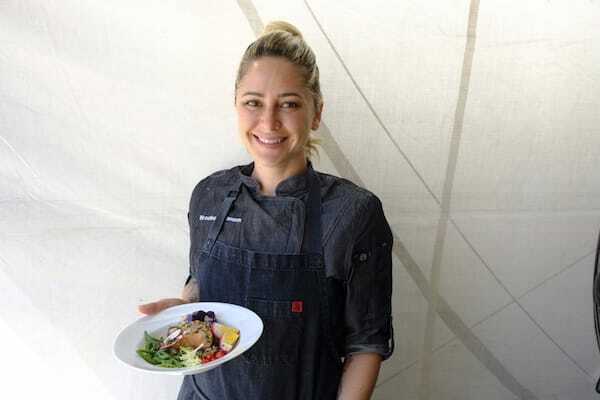 The culinary personality brings feeling for place to Palm Desert Food & Wine finale. 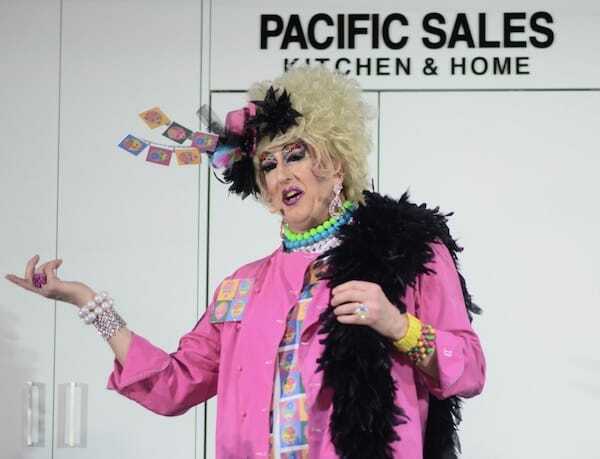 A packed house greeted vendors participating in Palm Desert Food & Wine both days. Curated. Intimate. 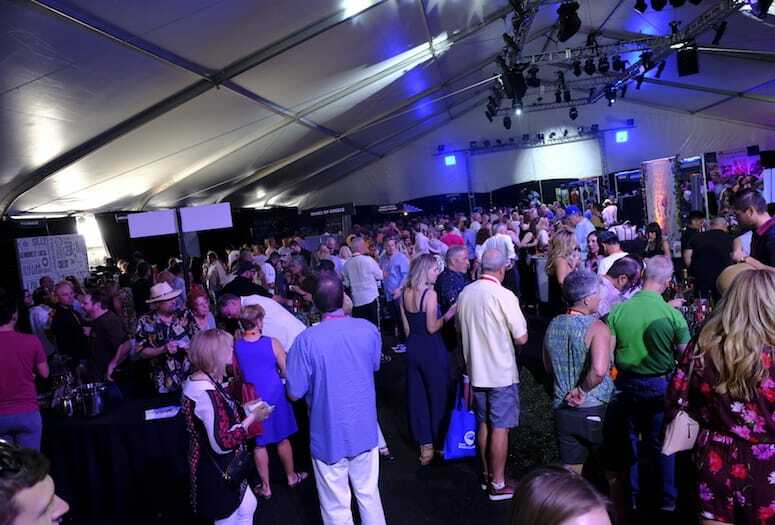 These buzzwords capture the essence of day three of the Palm Desert Food and Wine Festival. And like that, Sunday turned sublime. • See related story: A Day 1 recap of Palm Desert Food & Wine Festival. Champagne and bloody Marys enhanced the chef’s table-like experience. “They don’t do it like this anywhere else,” Michigan guest Peggy Nemode said. A soupçon of experiences awaited those adventurous enough to see what came next. Besides the hives of conversation pockets where old friends met and new ones were made. 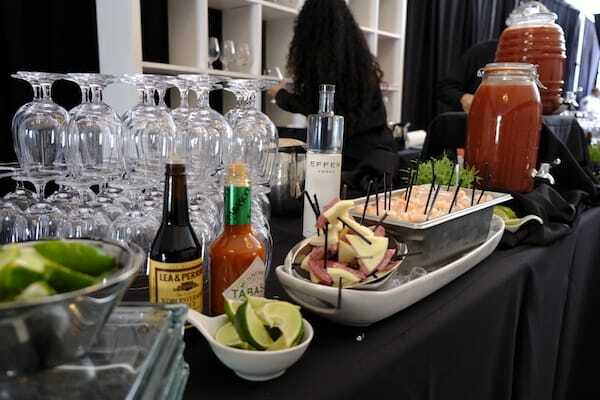 A new treat this year was the Bloody Mary Brunch featuring three chef demonstrations from Gale Gand, Brooke Williamson, and Karen Krasne. 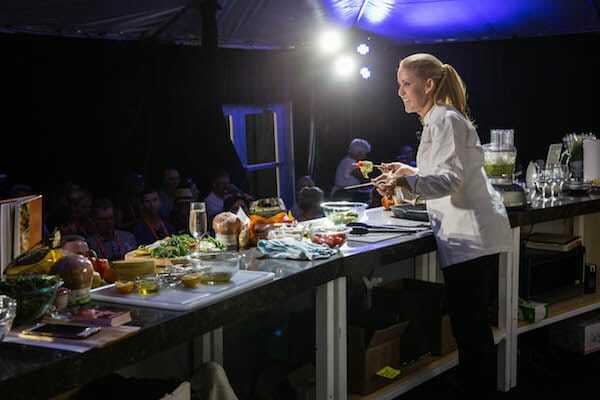 Admittedly, that’s not tough to achieve, especially in a tasting tent featuring the best local chefs throwing down their take on cuisine of the Americas. Chef Brooke Williamson holds her finished Chili Oil Poached Salmon Nicoise for the Bloody Mary Brunch. 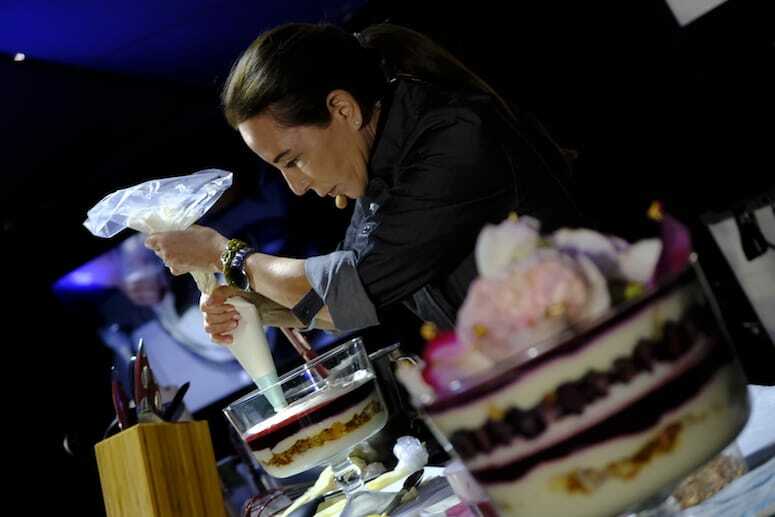 Chef Karen Krasne adds the white chocolate to her blackberry and blueberry trifle as the closer for the brunch. Shout outs were especially rapturous at the Agua Caliente Steakhouse station, where individual empadāo frango (Brazilian chicken pies), Brazilian kabobs, and Brazilian flan. “May I have more, sir?” A refrain heard in continued rotation. Still, there was more to try. Such as Campo Viejo, wine from Spain’s lauded Roja wine region. And crispy chicken skin, chicharron, and Iberico ham bites from Rancho Mirage’s Catalan Mediterranean Cuisine. Oh, and did we mention the adorable chocolate mint flowerpots from Copley’s on Palm Canyon? Chef Andrew Copley of AC3 Restaurant and Copley’s on Palm Canyon hands out chocolate mint flowerpots. Then there were the cooking demos. TV and radio personality and cookbook author Jamie Gwen went desert style: a summer composed board of fruits, burrata cheese, prosciutto, and arugula; pistachio pesto grilled shrimp; and an amerena mascarpone trifle. “I love the desert and I love this festival,” she says as she passes the jar of her favorite Heilala vanilla bean paste around so guests could get a fragrant whiff. Chocolatina Q Dessert offers song and dance as part of her demonstration. Chef Jamie Gwen created a summer dish with vanilla grilled apricots, burrata cheese, prosciutto, and argula. 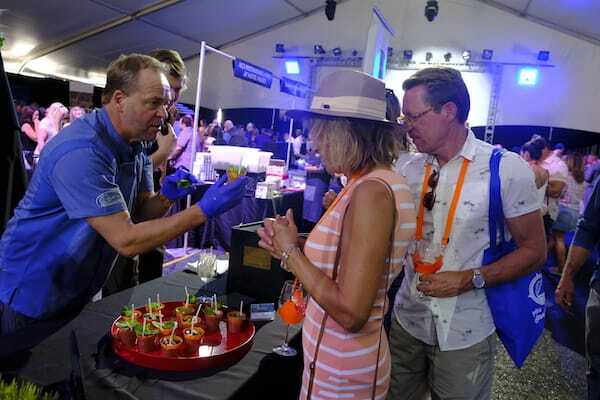 Tickets for the 2020 Palm Desert Food and Wine Festival go on sale Aug. 1. Stay abreast of what’s happening by visiting palmdesertfoodandwine.com. To view the chef demonstration VIDEOS, visit palmspringslife.com/livestream.